The e-Assessment Association is a not-for-profit membership organisation governed by a voluntary Board made up of both Associate Sponsor Members and Individual Members. The eAA wishes to extend it's gratitude to all of the candidates and all of our members who took the time to vote this year. Welcome to our five new Board Members. Working as a consultant for a number of UK and US e-assessment companies gives me experience of e-assessment from both technology providers' and assessment publishers' perspective. I am an active advocate of e-assessment, having worked in the industry for 20 years, and regularly attend and present at international conferences. 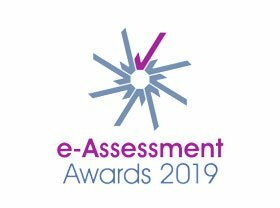 Proactive with both the instigation and ongoing development of the e-Assessment Awards, I have also been chair on one of the judging panels for the last three years and helped secure key sponsorship deals. I would like to have the opportunity to continue supporting the Association as it continues to evolve, helping increase it's financial strength with other revenue streams, around consulting and events. I believe this will enable us to have a wider reach and impact with Government stakeholders increase the breadth and depth of membership of the e-AA with special interest groups covering all aspects of e-Assessment. Fiona is the Director of Digital Education at the University College of Estate Management based in Reading. She is a Senior Fellow of the Higher Education Academy (Advance HE) and was recently President and Chair for the Association for Learning Technology (2014-2017). 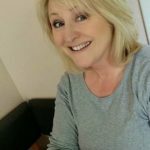 She is actively involved in the online community and is Co-Chair of the ALT South members group and acts as External Examiner for the University of West London's PGCert Online. She is studying for her Ph.D. with Lancaster University in e-Research and Technology Enhanced Learning. Fiona has always been interested in the development of digital literacies skills for students and staff and enjoys exploring new technologies to enhance the student experience. She is working with her team to support their Assessment First approach in the design of their programmes and has taken an active role in Students as Partners initiatives across the sector. 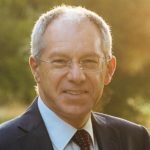 I have been part of the educational assessment community for over 35 years, and was involved in many of the significant developments in general qualifications in the UK, including securing several £m of funding from the Treasury to support innovation in assessments. Advising and supporting organisations wishing to implement change and transformation, I focus on strategy and planning for moves to digitally-enabled assessments. This includes internationally-funded projects and research, professional, commercial and statutory bodies in the UK. My great passion is to harness technology to improve the testing and assessment experience that candidates face making it relevant for the 21st century. Chair of one of the Awards panels for three years, and an active member of the eAA’s Executive Committee for two, I also took on the role of Association Secretary. I would love the opportunity to continue to support the vital role played by the eAA. Bill comes from a teaching background and throughout his career has been involved in a wide range of projects aiming to improve science education. 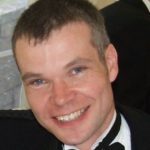 Through his work with the Scottish Qualifications Authority, Bill has been involved in the development of STEM assessment and has championed the use of online resources in Science education. He is interested in the role that e-assessment can play in supporting Assessment for Learning. SCHOLAR currently provides 33 online courses to all 32 Education Authorities, 6 Further Education Colleges and 29 independent schools in Scotland. Formative e-assessment plays a vital role in all SCHOLAR courses, providing students with immediate and supportive feedback and teachers with a powerful diagnostic tool to track learning. Led by the Australian Council of Educational Research, SCHOLAR is contributing to the Scottish National Standardised Assessment Programme providing training and professional learning for teachers and other stakeholders across Scotland. 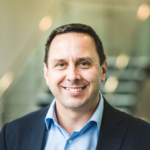 As the Sales & Marketing Director for RM Results, I work with awarding bodies in the general qualifications, professional, language testing and HE sectors in the UK and globally. 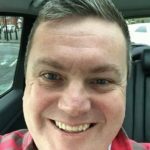 I have been involved in the Ed Tech industry for over 25 years and the Assessment sector for 10 years. I have very much enjoyed my first term on the board of the eAA, in particular working with colleagues to develop the long term strategy and business plan for the eAA. I would like to continue this work to ensure that the eAA can operate on a secure and sustainable basis, deliver value for our members and sponsors and promote the aims of the eAA around the world. This is an exciting time for the eAA with many opportunities for us to increase our impact and influence on the sector. I would welcome the opportunity to help us achieve those goals.